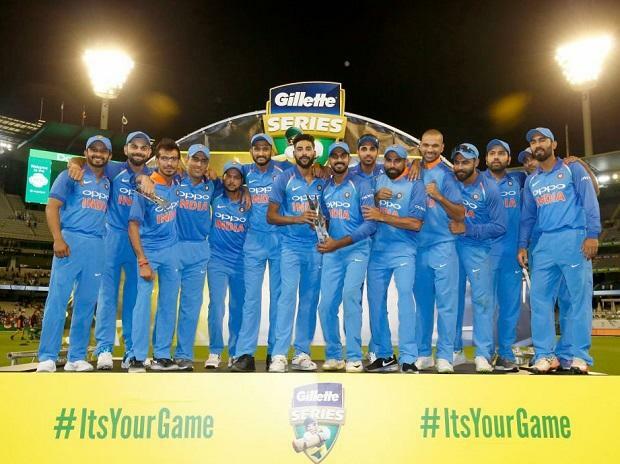 Leg-spinner Yuzvendra Chahal's heroics with the ball were complemented well by former skipper Mahendra Singh Dhoni's third consecutive half-century as he anchored India's run chase to beat Australia by 7 wickets in the third ODI, and clinch their first ever bilateral series win here. Over 50: Jadhav on strike, Stoinis with the ball, FOUR!! INDIA WIN IT! !